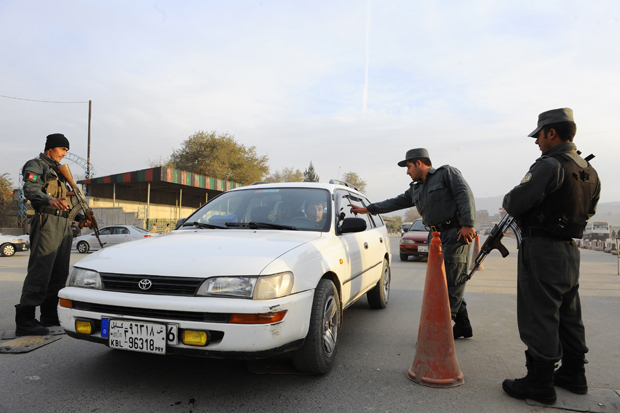 Afghan policemen search a car at a checkpoint in Kabul on November 18, 2013. Sarah Chayes arrived in Afghanistan as a journalist. But the rampant corruption she encountered there drove her to stay for years afterward, fighting for change. Corruption touched every corner of daily life in the country; from crossing police checkpoints to paying utility bills, a bribe was required to accomplish almost anything. This was breeding deep anger and resentment in the Afghan people, Chayes discovered. And now the foreign policy expert has an urgent warning based on what she’s learned: Corruption can plant the seeds of violent religious extremism – and it’s happening worldwide. We discuss how political corruption threatens global security, and what can be done. Excerpted from Thieves of State: Why Corruption Threatens Global Security by Sarah Chayes. Copyright © 2015 by Sarah Chayes. With permission of the publisher, W. W. Norton & Company, Inc. All rights reserved. Tuesday, Apr 16 2019Ken Burns tells Diane that tracing the history of baseball offers rich insight into the history of the country. Friday, Apr 12 2019A flurry of lawsuits are exposing new information about the Sackler family's role in the country’s epidemic. Tuesday, Apr 09 2019Susan Page on her new book, "The Matriarch," a biography of Barbara Bush. Friday, Apr 05 2019A key deadline looms for Brexit, but British politicians can’t agree on a plan. One of her guests is always you.